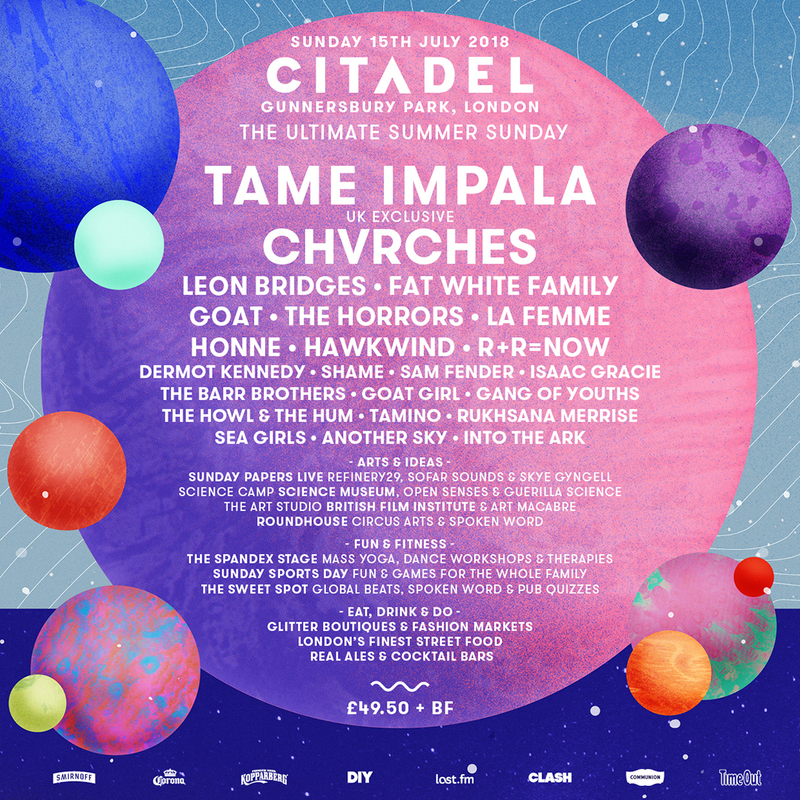 Citadel is London’s brightest new festival. Combining the city’s creativity with a thrilling musical lineup, for one day Gunnersbury Park becomes a sun-drenched utopia…the ultimate summer Sunday. Citadel launched in 2015 with the aim of bringing something a little different to the London festival scene. The first edition achieved this, featuring spellbinding sets from Ben Howard and Bombay Bicycle Club. 2016’s chapter continued the mission to deliver the best Sunday ever, headlined by Sigur Rós. This year sees the stadium-slaying Foals take the reins as our 2017 headliner. The Oxford quintet are frequently hailed as one of the best live acts in the world, and this UK festival exclusive performance is set to cement that accolade. Foals will preside over further musical wonders as well as a galaxy of experiences and activities to discover throughout the day…including the city’s tastiest food and drink, sports, talks and debates, wellbeing, workshops, fashion boutiques and family fun, and so much more.